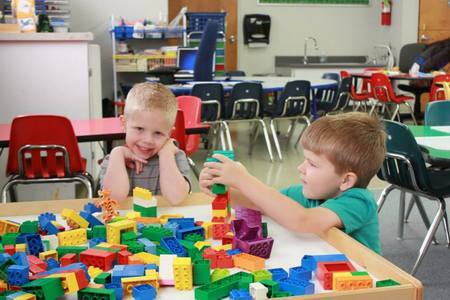 Our preschool program is designed to establish an environment that will enhance a child's development, which includes spiritual, physical, social, cognitive, creative, and the fine arts. Each child will have an opportunity to learn in an environment where the child will be taught in a warm, loving, and Christ-like manner. Hanford Christian School Preschool offers the following programs: Preschool, Pre-Kindergarten, and Transitional Kindergarten. To learn more about what we are doing in class, please click HERE.